Earlier this month, luxury motor yacht builder Ocean Alexander announced the expansion of its yacht building facility in Taiwan, and now the builder has revealed more details of its expansion and project updates on its yachts currently in build to Boat International. Ocean Alexander reported nine new boats sales this summer, prompting the growth of its manufacturing capabilities at its Kaohsiung, Taiwan, yard. The first phase, completed in 2014, will add 3,018 square metres and phase two, scheduled to be done in 2015, will provide an additional 3,820 square metres to the facilities. 'It would more than double our capacity once the expansion is fully complete,' says Kevin Tseng, VP of Alexander Marine. The expansion will include the addition of new production bays, allowing Ocean Alexander to increase its build capacity, which is currently up to 12 yachts from 72 to 90 feet per year, to 25 yachts per year – and now up to 112 feet. Projects presently in build at the Taiwan yard include four Ocean Alexander 90 superyachts, one 78, two 85-foot models, and its 112, the latter of which is a new model set to debut in 2015. Ocean Alexander is still teaming up with US builder Christensen on its Ocean Alexander 120, of which hull No 2 and 3 are currently underway in Christensen's Washington state yard. 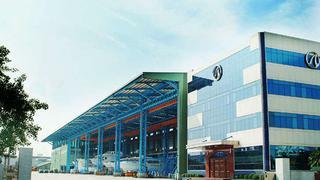 To accommodate the new demand and expansion, Ocean Alexander's yard in China, which was building yachts up to 72 feet, will be closed and its personnel will be consolidated into one yard. The last yacht built at the Chinese yard was shipped and delivered to its US owner September 2013. The next launch from Ocean Alexander will be a 90 motor yacht set to be delivered in December and an 85 motor yacht ready for January.